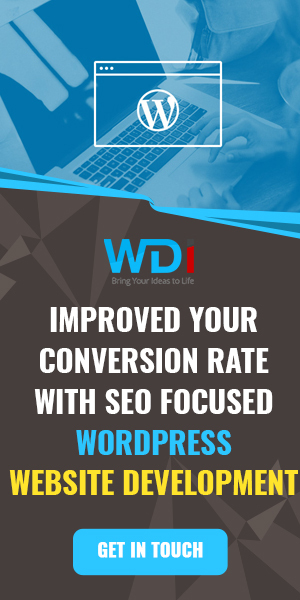 The success of your WordPress site is dependent on your site’s content strategy, graphic designs and theme which all sum up to the kind of experience your users get when they visit your site for the first time and if they will visit again. The secret to having a clean site that looks and operates better than others is hiring the service of a WordPress developers. Below we are going to give a few pointers on how to identify and choose the right WordPress developers that best suits your project needs. You should be able to communicate with them quickly before and during the execution of your project. Discuss your budget plan and estimate and how to restrict expenses to fit in. They should be flexible in case you decide to make changes big or small midway the project, meeting your specific needs should be their priority. Make sure they have stacked years of experience because this is how you separate professionals from fraudsters. Demand for a portfolio and the extent of their customer base. If you’re contracting designers, demand a demonstration of their digital capabilities. Don’t relax based on the previous work they will show you, ask for physical proof of their expertise. Demand for their references and feedback from others jobs they’ve carried out. Ensure that they are experienced in coding and are adept at using developing tools like HTML, Java Scripts, CSS. Now you know what to look out for in choosing a WordPress developer you also need pointers on how to maximize time and resources and make sure your project is carried out swiftly and efficiently. Be specific about what you want from your WordPress designer and theme developer: If you are yet to decide on your preferences for the visual experience you want your visitors to get when they visit WordPress site, you’ll need to work with your designer and/or developer to finalize it before you move on to coding. Making yourself available to them is advised in case they need additional files or details to enhance the approved design. Understand the Development Process And Testing Phase: This is your chance to view your theme on different devices and browsers. If your developer or agency is worth their weight, they will provide a way for you to test your new theme and relay your feedback. Set Realistic Expectations for the Project: If you find any issues during testing, you have to call them out and discuss a timeline for their completion. Make sure the deadline for the project completion is also achievable. Here at WDI, we work with you to deliver high-performance Websites and Mobile Apps. We pride ourselves on our efficiency and always deliver on-time and within budget. The services we provide include Website design services, Custom Software Development, Digital Marketing Services and eCommerce Websites. We work on all significant development technologies and have a large team to deliver on time, with over 16 years years of experience we are confident of helping you achieve the best results for your WordPress website development.